In today's hustle and bustle world, processed foods are commonplace time-savers. But that convenience factor may come with a bigger price tag than previously known, says an international team of researchers. In findings published earlier this year in Autoimmunity Reviews, researchers from Israel and Germany present evidence that processed foods weaken the intestine's resistance to bacteria, toxins and other hostile nutritional and not nutritional elements, which in turn increases the likelihood of developing autoimmune diseases. The research team examined the effects of processed food on the intestines, and on the development of autoimmune diseases - conditions in which the body attacks and damages its own tissues. More than 100 such diseases have been identified, including type 1 diabetes, celiac disease, lupus, multiple sclerosis, autoimmune hepatitis, and Crohn's disease. "In recent decades there has been a decrease in incidence of infectious diseases, but at the same time there has been an increase in the incidence of allergic diseases, cancer and autoimmune diseases," said Prof. Lerner. "Since the weight of genetic changes is insignificant in such a short period, the scientific community is searching for the causes at the environmental level." 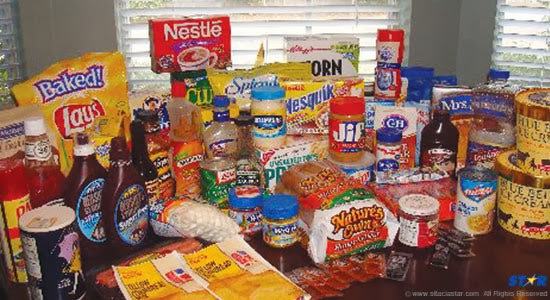 In their study, the researchers focused on the dizzying increase in the use of industrial food additives aimed at improving qualities such as taste, smell, texture and shelf life, and found "…a significant circumstantial connection between the increased use of processed foods and the increase in the incidence of autoimmune diseases." Many autoimmune diseases stem from damage to the functioning of the tight-junctions that protect the intestinal mucosa. When functioning normally, tight-junctions serve as a barrier against bacteria, toxins, allergens and carcinogens, protecting the immune system from them. Damage to the tight-junctions (also known as "leaky gut") leads to the development of autoimmune diseases. The researchers found that at least seven common food additives weaken the tight-junctions: glucose (sugars), sodium (salt), fat solvents (emulsifiers), organic acids, gluten, microbial transglutaminase (a special enzyme that serves as food protein "glue") and nanometric particles. "Control and enforcement agencies such as the FDA stringently supervise the pharmaceutical industry, but the food additive market remains unsupervised enough," said Prof. Lerner. "We hope this study and similar studies increase awareness about the dangers inherent in industrial food additives, and raise awareness about the need for control over them."